Genetics Counselling – Get the Basics Right! « ROCK YOUR CONSULTATIONS, GET MORE MARKS! Genetics Counselling – Get the Basics Right! Home → FREE CSA RELATED ARTICLES → Genetics Counselling – Get the Basics Right! 1. How to get the ‘Basics’ right for genetics counselling. 2. How to explore the real concerns of the patients. 3. How to discuss the details about genetics in simple, non jargon language. Genetic Counselling – Get the Basics Right! Get the full transcript below! 1. Prenatal counselling where a couple believe they are at risk of having a child with a single gene disorder such as Sickle cell disease. 2. A woman concerned about the significance of a family history of colon cancer requesting a colonoscopy. Most of the cases require the ability to construct a simple family tree, recognise basic patterns of inheritance, communicate risk effectively and refer onto additional specialist services when required. Extensive knowledge of individual rare genetic disorders is not needed to pass. Click the links below for further reading! Six Secret Steps For Breaking Bad News! How to Correctly Manage a Down’s Antenatal Screening Consultation? How to Manage a case of Genetic Counselling for Cystic Fibrosis? Comment Below – What is the single biggest insight you got from this video? And what action will you take right now to implement it? Get Instant Access to FREE 3 Part Training Videos! Learn the biggest deadly mistake we make in our exams and get your personal Success Map to rock your consultation. Click the image below to get instant access! Like & Share this article! Tips To Rock Your Consultations! Hi. Thank you for joining me. I am very excited to have you here. 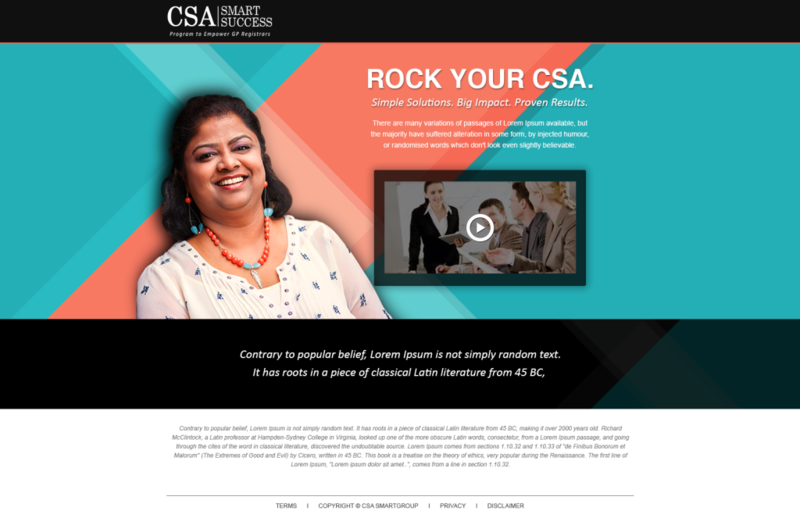 I am Dr Hema, a GP in UK and the founder of csasmartgroup.com, where CSA proudly stands for Consultation Skills Academy. We help doctors and medical students, not only pass their exams with flying colours but to completely rock their consultation with confidence, get more marks, wow their patients and at the end of the day, to enjoy doing it! This is based on my very own experience I gathered over years of working as a doctor in India and England, reading lots of books, attending many courses on communication and consultation skills and teaching students for last 3 years. In my flagship online training programme called ‘CSA SMARTSUCCESS’, I teach my students in detail with simple easy steps to shine during their consultations with confidence and ease. In today’s video, I would like to talk about the basics of genetic counselling. Counselling is available to anyone thinking about undergoing any form of genetic testing. It provides the information needed for an informed decision. This should include the implications of testing positive, informing relatives, the progression of a specific disease and its treatments. Facts are presented in a non-directive manner and counselling should be in a relaxed, non-time constrained atmosphere. All language should be easy to follow. The patient or couple’s understanding must be assessed and any misconceptions should be tackled. Common situations for GPs include a patient maybe having a disease which a member of their family has or the risk of a couple having a baby with a particular disorder. In these cases facts surrounding illness inheritance need explaining. Make sure unnecessary fears are dispelled, advice on lifestyle change is given (if relevant) and there is the proper patient support. When relatives or children have recognisable inherited symptoms, certain ethnic groups are involved or there is a family history of cancer at an early age, specialists like clinical geneticist may be required. Advice should be given for antenatal screening where there’s a family history of problems, and consideration can be given to alternative conception. Discussions should be non-biased, risk assessed, carefully considered and an explanation of probability should sometimes be examined. Remember, frequencies are better understood than percentages. Influencing factors for patients include risk of transmission, severity, the availability of prenatal diagnosis and a person’s personal convictions. Counselling is with or supervised by an appropriately trained professional, whose judgment must never be compromised. Consent should be after an appreciation of all factors, post-test counselling should be readily available and predictive tests for severe illnesses must include pre and post-test advice. Assess children or others according to their mental capability and test adult-onset conditions only when the treatment is administered in childhood. Result confidentiality should be considered, plus disclosure to third parties (ie employers), the right to know or not know, uncertainties and reliable background information. A written summary should be offered as appropriate. After test results, focus should start on the emotional impact on all involved. Is follow-up contact with a counselling unit, a psychologist, social worker or support organisation preferable? Implications for the individual and follow-up plans are important, whilst written material should always be on hand. A patient should be referred to a genetics centre if there is a condition in the family, they have a strong family history of cancer, there is a known or possible genetic condition, and he/she wants to know more about risk, diagnosis and/or options. Have a look at your local protocol and guidelines. If a pregnant couple have an abnormal test result, they too should be referred, along with parents of a child with possible genetic condition difficulties to see if a diagnosis is possible. That’s all for today, I will see you soon in another training video. Till then, if you’ve enjoyed this video, click the like button. Share this video with your friends as I know that we practice together with our friends all the time. Now, I would like to invite you to sign up for my free video series called ‘ROCK YOUR CONSULTATION’. I have created these videos especially to help you to ROCK your consultation, get MORE marks, WOW your patients and make every examiner ADMIRE you. All you need to do is to enter your name and email address in the box below. I will send them straight away. Let me help you to rock your consultations with confidence and ease. Click the image below to get instant access to your FREE videos!